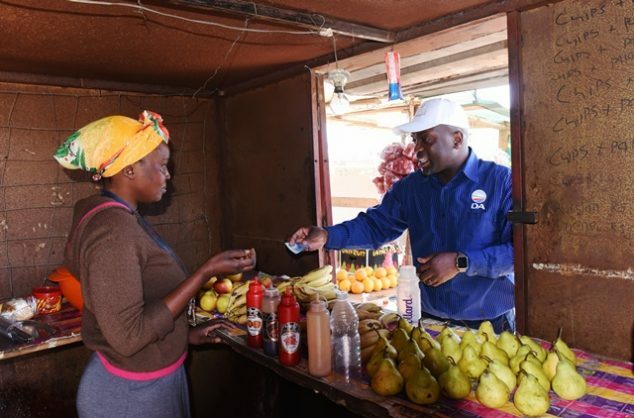 Bread is being sold for as much as R25 a loaf and airtime is getting a R5 mark-up as the shutting of foreign-owned shops has led local vendors to push prices up. Two weeks after immigrant-owned shops closed in Ratanda, south of Heidelberg, Gauteng, residents accuse local shop owners of hiking prices for bread and airtime. Shops belonging to owners from Somalia, Bangladesh, China and Pakistan shut after they were looted and vandalised by residents protesting over poor services from the Lesedi Municipality. Now community members are threatening to boycott local shop owners who they say are hiking prices and taking advantage of the absence of competition from immigrant shop owners. They say bread is being sold for as much as R25 a loaf and airtime has been marked up with R5 by local shop owners. Nomsa Msiza, who works in a shop in Ratanda, welcomed the shutting of foreign-owned shops. “Business was good during the past two weeks. Foreign shop owners take all our customers away. If the shops are [re]opened, it’s back to square one,” she said. Mngomezulu said local shop owners paid as little as R600 in rent while the immigrants paid as much as R2,000. On Monday some of the immigrant shop owners were cleaning up their premises in Ratanda, extension 23. Bhuyian said he had been to a meeting early on Monday where community members had assured him that it was safe to re-open. While he cleaned up his shop some customers came to buy bread, but his shelves were still empty. He said he would have to wait a few days before he could collect all the stock he needs. “I lost lots of money from the stock which was looted. Coming up with lots of stock costs a lot of money,” he said. Bhuyian said his brother, who used to operate a shop close by, would not return as he lost all his money in the looting. Mahommed said he had been running his business with his brother for five years. There had been problems, but he had never believed that he would be attacked. Police spokesman Thivhulawi Tshilate said police had not received any reports of immigrant shop owners being prevented from reopening their shops.